This pub features in Londonist's ebook of London pub crawls. There’s a rule-of-thumb with central London pubs. If the venue features a rubicund feline in its name, the place is probably worth a look. 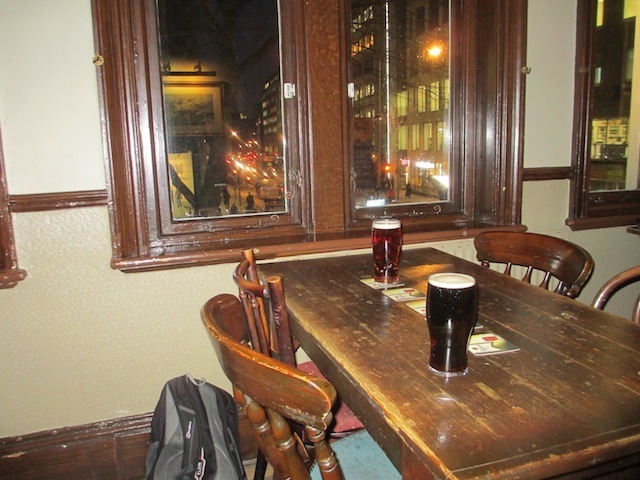 Holborn’s Red Lion is less ostentatious than the two variants in St James’s, less touristy than its Westminster near-namesake, and far less hip than its Hoxton equivalent. Still, it feels the most ‘honest’, with a definite crowd of regulars mixed with random passers-by in a narrow, dark-wooden bar. So narrow, there aren't any tables meaning drinkers must either prop up the bar or perch on a stool. Like the nearby Princess Louise, this is another Victorian original, but lacks the former's flamboyance. The beer is by Greene King, and kept well, but look out for a few surprises on tap. 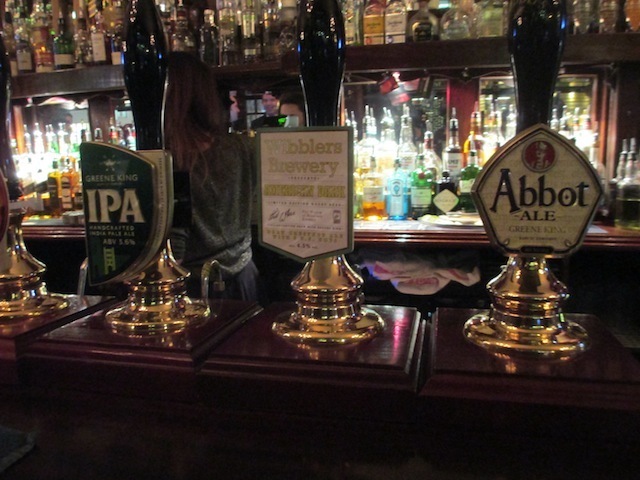 A guest ale from Wibblers Brewery in the States was welcome on our most recent visit. A rather special legend has attached itself to this place. After the Restoration of the monarchy in 1660, Charles II had the bodies of Oliver Cromwell and his co-Republicans Bradshaw and Ireton exhumed in order to stage an ‘execution’ of their accursed corpses. It’s said that the bodies were stored overnight in the Red Lion’s yard on their way to the Tyburn gallows. The trio of regicides supposedly haunts nearby Red Lion Square. 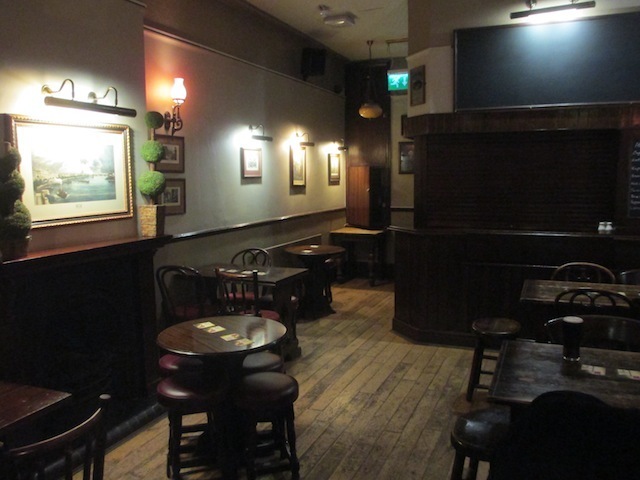 The association is remembered in the Cromwell Bar, the upstairs room that provides seating when the main bar overflows. Some unusual beers among the more familiar. The upstairs room was absolutely rocking on our last visit. 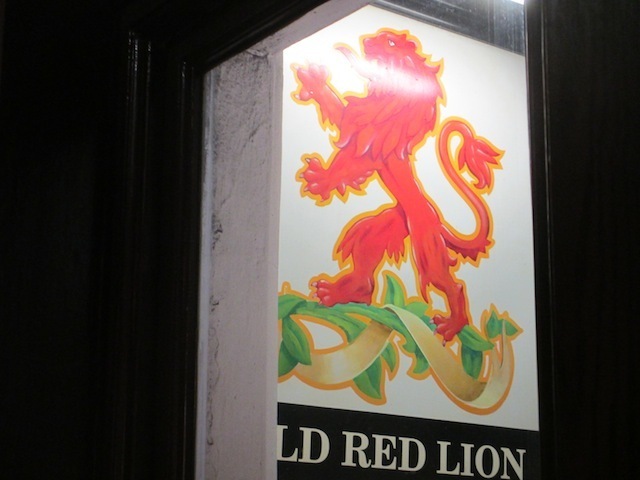 Has anyone actually ever seen a red lion? I bet they'd look bloody stupid and not at all ferocious. A black lion would look pretty hard, mind. Or how about a white one? Do you get albino lions?